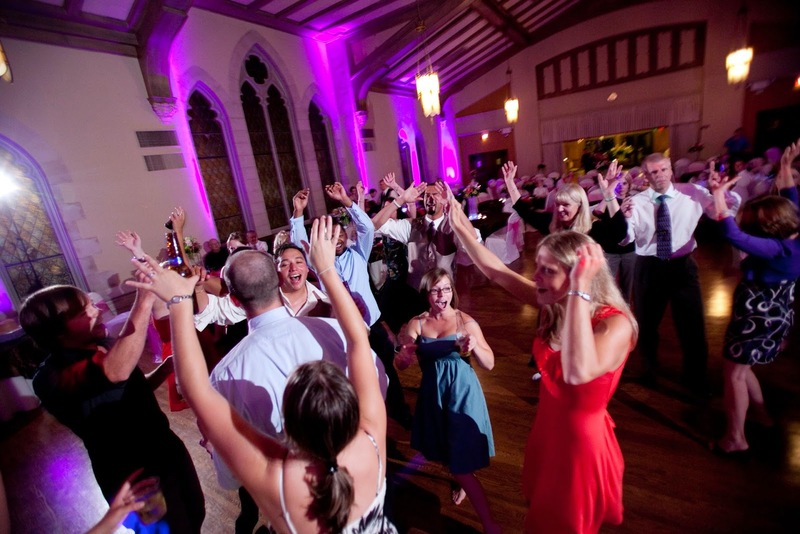 Your guests will be doing what you are doing, so lead the way and hit the dance floor. Your wedding is all about having fun, so just let loose. No one is judging you, just bust out those sweet moves! If your guests are loving Beyonce's upbeat music, don't kill the mood with a slow song by John Legend. John Legend is great, but lets ride the upbeat music wave with all of our surfboards (did you like that Beyonce reference? :) ). If the request from aunt Rhonda isn't a hit, just ask your DJ to transition to a different song. Don't be scared to keep your DJ informed of what you like and don't like. Try picking different songs to please different crowds. Start the wedding with slower songs (something Grandma would enjoy) and head towards party mode. You always want to end weddings with a bang.